The steelmaking industry is a typical resource-energy-intensive industry that produces a variety of solid wastes, which include lots of dust. From the raw material unit to the rolling line workshop, dust is generated in each process. Dust will be collected through the dust collecting system, when the dust wind goes through the system, dust will be collected at the dust collection place the rest wind then output as exhaust. The collected dust is what we normally called fly ash. According to statistics, the amount of dust generated by the steel industry is generally 100 to 130 kg on producing 1 ton steel. The fly ash not only contains a considerable amount of iron, carbon and other elements (the stainless steel fly ash contains other elements like chromium and nickel, etc), but also a certain amount of calcium oxide, magnesium oxide, iron oxide, manganese oxide, etc. It is a secondary metallurgical resource with high recovery value. 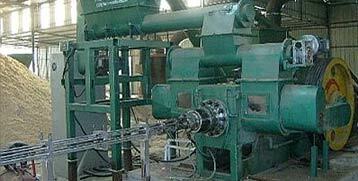 The fly ash briquetting technology is a kind of recycling technology based on this idea. Mix various of fly ash with different proportions, add some water and binder, stir evenly, and send the mixed material through a fly ash briquette machine, then we get the fly ash briquette. 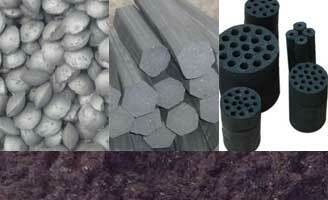 After drying, the finished briquette can be returned to the steelmaking converter reuse as a slagging agent or coolant. A simple fly ash briquetting system is easy to set up. Collected fly ash first should be carefully mixed with the binder in the mixer(s), then put the mixed material to a fly ash briquette machine, finished flying ash briquette will be get. Set up a dryer to dry the briquette for immediate use or put it somewhere for a much longer time but much lower in cost drying – the natural drying way. Through this process, it is possible to produce blocks having a suitable size and good gas permeability, which makes the large and medium-sized reduction electric furnace can operate better. The binders used in industry are usually divided into three types: inorganic binders, organic binders, and composite binders. Inorganic binders include sodium silicate, bentonite, lime, etc., but these binders have a high silicon content, which will bring in a large amount of impurities and reduce the briquette grade, this is not conducive to the reuse of the fly ash in the steelmaking process. In contrast, organic binders are more suitable for fly ash briquetting, as the organic binder will decompose and burn during the roasting process, won’t affecting the iron grade of the final finished product. 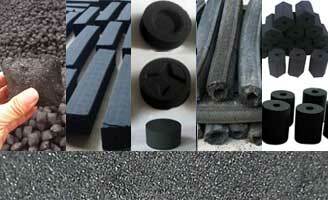 Fly ash briquette can be used as slagging agent or coolant. 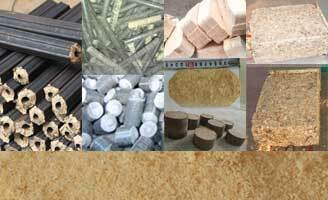 By using this briquette, we will have the following benefits in the steelmaking process. 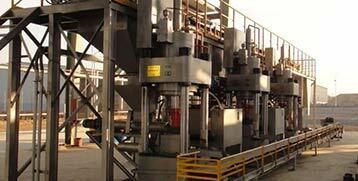 In the initial stage of converter blowing, the fly ash briquette is added when the furnace temperature is low. The low melting point fly ash briquette is rich in Fe2O3, which increases the FeO content in the slag, accelerates the dissolution rate of CaO, and significantly reduces the slag viscosity. This is beneficial to the migration of FeO into the lime crystal lattice and the formation of low melting point substances, preventing the formation of 2CaO·SiO2 on the lime surface. And the higher FeO in the early stage can quickly form emulsified slag at the steel slag interface and accelerate the dephosphorization reaction. The cooling endotherm includes physical cooling endotherm and chemical cooling endotherm. Fly ash briquette is similar to iron ore due to the composition (mainly TFe), makes their physical endothermic the same in principle. And in the term of chemical cooling endotherm, the main endothermic reaction occurs as the endothermic reaction between Fe2O3 and FeO and CO, but the TFe in iron ore is slightly higher than fly ash briquette by 3% to 8%. Therefore, the chemical cooling of iron ore is better than fly ash briquette. 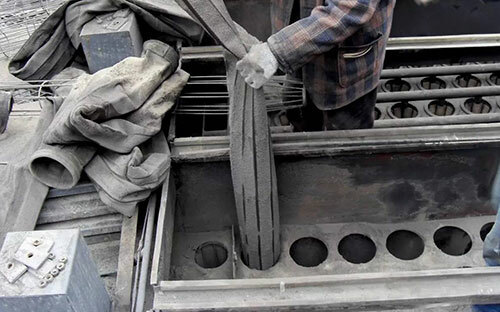 Test has shown, the cooling effect of fly ash briquette is similar to iron ore in the case where the molten iron composition and the tapping temperature range are similar. Since the briquette is added to the slag, the dissolution of the heat from the briquette makes it possible to reduce the input of other slags. When briquette is added to the converter, the increase in the melting rate of lime and the addition of a portion of CaO brought by briquette reduces the consumption of lime. Fly ash briquette has a good slagging and slag effect, which replaces the ore and greatly simplifies the operation of the furnace. In the early stage of blowing, fly ash briquette can balance the heating rate in the early stage of smelting, prevent the premature into C-O reaction period in the early blowing stage due to the short oxidation period of chemical elements. Therefore, the metal drying and low dephosphorization rate in the middle of the blowing can be avoided, and the steel consumption of the converter is reduced. At present, the converter furnace mainly relies on the blowing process to increase the slag alkalinity and MgO content to reduce the erosion of the furnace lining during the converter blowing process, and to use the fettling material to properly repair the tapping surface and the slag surface. Add fly ash briquette can increase the alkalinity of the slag in the initial stage of converter steelmaking, reduce the solubility of MgO in the slag, reduce the erosion of the furnace lining in the early stage of converter smelting. It will help to extend the service life of the refractory material of the converter, thereby reducing the cost of the converter maintenance. 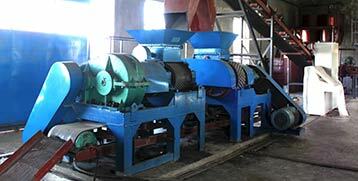 The content of TFe in the briquette can be around 50%, which effectively recovers the metal in the fly ash. Through the comparative analysis of a large number of data of cold-solid briquette by the converter, the use of briquette’s steel material consumption will be lower than that of unused ones when other smelting conditions are the same, which will promote better economic benefits. Briquette system has effectively dealt the fly ash, reducing the cost of processing fly ash in steel mills and providing strong support for the sustainable development of steel mills. The fly ash produced in the steelmaking process replaces iron ore by processing into briquette to reduce the consumption of iron ore in the converter blowing process, thereby realizing the recycling of the by-products of the converter steelmaking.